A Tennessee man took his boat to the lake recently to practice for an upcoming finishing tournament, and launched more than he expected off of the boat ramp—his Dalmatian, who was in the man’s RV while his owner was getting the boat ready, knocked the vehicle into reverse and sent it for a swim. 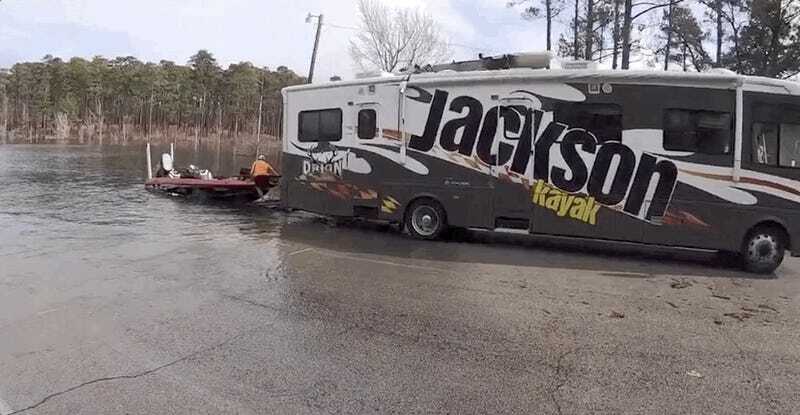 Beaumont, Texas station 12News reports that professional fisher Eric Jackson was at Lake Sam Rayburn in Texas to practice for the Fishing League Worldwide Tour’s stop there over the weekend, when his RV started backing into the water along with him. His 2-year-old dog, Bodi, was in his 38-foot RV while Jackson was in the boat on the boat ramp, and accidentally stepped on the gear-shift switch to send the RV rolling right into the lake. 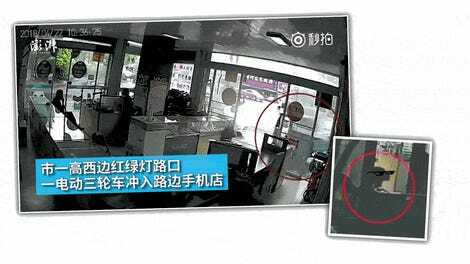 That dog knows what it did, but regardless, it’ll still get plenty of love from its owner and “12/10 goodboi” responses on the internet. Pets these days, right? They can get away with anything. The group that filmed the incident also helped Jackson get the RV out of the lake after it sailed away from the boat ramp, and 12News didn’t say how much damage there was to the inside of it. But Jackson did post a video of the retrieval to his Facebook page, along with an ankle-deep layer of water throughout the RV and footage of his two Dalmatians hanging out in the passenger seat, obviously exhausted from and satisfied about their hard work to keep their owner’s life interesting. The group that helped with the RV rescue took a triumphant photo with Jackson and the cute culprit after everything was back on dry land, which, of course, makes everything all better, instantly forgiven and “12/10 goodboi” worthy. We’re all slaves to cute pets, after all, since they help us remember the internet isn’t all about bad tweets, false news narratives and Instagram influencers. They’re just testing our limits now, though, to see how far they can go and still be praised. Soon, we’ll be the ones on the leash. H/t to our friend Erik Schelzig!